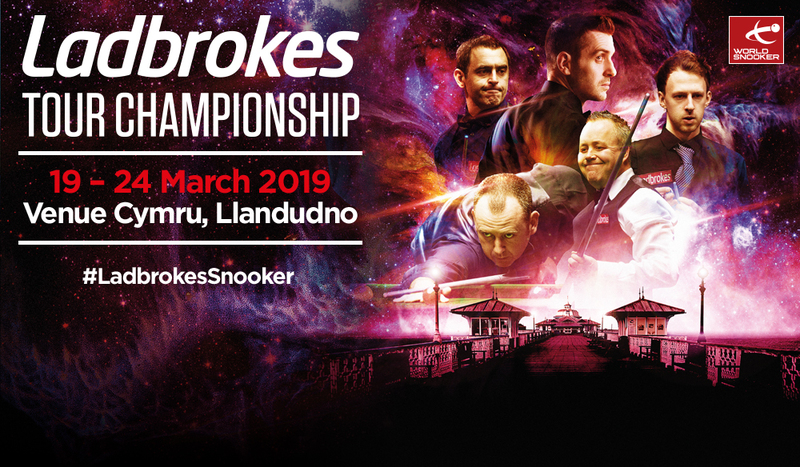 Snooker’s biggest stars will once again head to Llandudno in 2019, as the town will stage the new Ladbrokes Tour Championship for the first time. Tickets are now on sale and there’s a special WORLD CUP OFFER of just £10 for all day tickets, so fans are strongly urged to book quickly to take advantage. The world ranking event will run from March 19 to 24 at Venue Cymru in Llandudno. It will be the fifth consecutive year that the North Wales town has hosted a major event, having staged the World Grand Prix in 2015-16 and the Players Championship in 2017-18. The Ladbrokes Tour Championship is a new event in the same series. Only the leading eight players on the 2018/19 season one year ranking list will qualify, so it will be an elite field of the best cue kings on the planet. Last season’s Ladbrokes Players Championship in Llandudno was won by Ronnie O’Sullivan, beating Shaun Murphy in the final. Also in the field were the likes of Mark Selby, Judd Trump, John Higgins and Mark Williams. With extensive live television coverage from ITV4, the tournament offers a top prize of £150,000 from a total prize fund of £375,000. The WORLD CUP OFFER gives fans the chance to buy all-day tickets for the first two days of the tournament (Tuesday March 19 and Wednesday March 20) for just £10, that’s a 60% discount on the standard price of £25! It’s fantastic value for money for the chance to see many of the sport’s top stars. All-day tickets for the showpiece final day on Sunday March 24 are available for £55, and there’s also an Event Pass available which gives access to every session of the whole tournament for just £150!